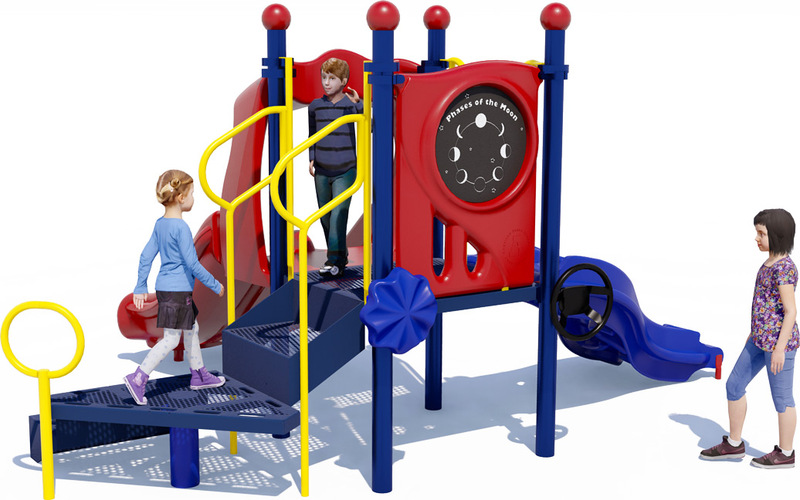 The Magic Minnie play structure is a colorful and creative playground designed to create happy faces in small spaces. 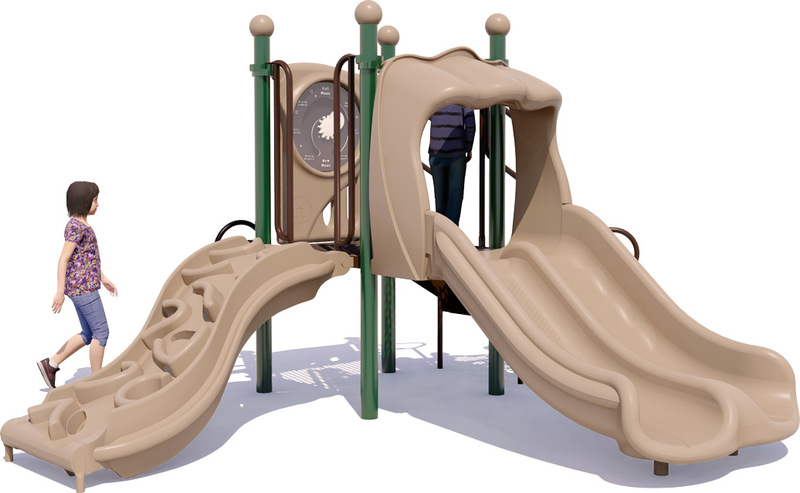 This playground proves that you do not have to sacrifice fun when space is a premium, and American Parks Company provides a number of affordable and small scale playground options for any organization, business or community space. Accommodates up to 15 children aged 2-12 years. A fun Double Velocity Slide to safely race down with friends. 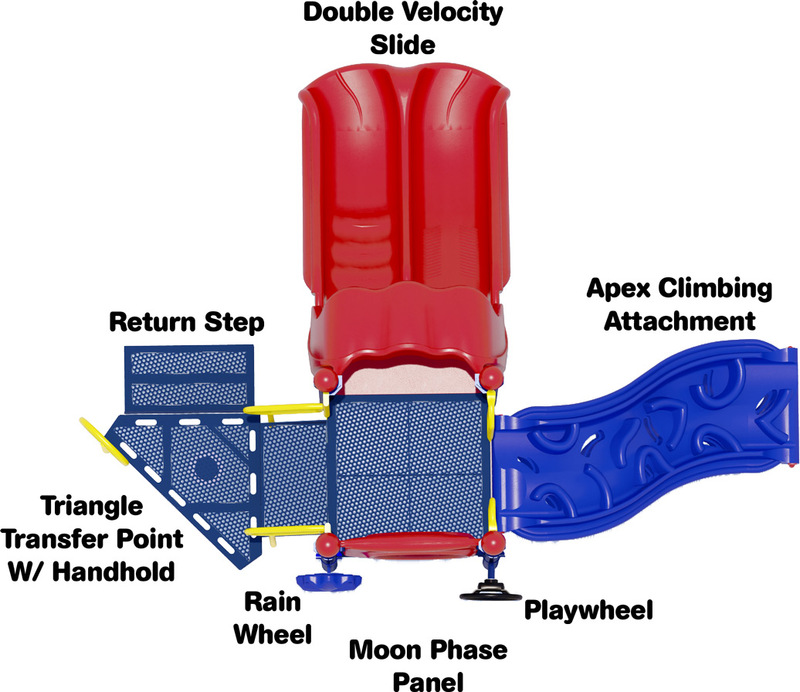 An Apex Climbing Attachment that simulates big kid rock climbing. 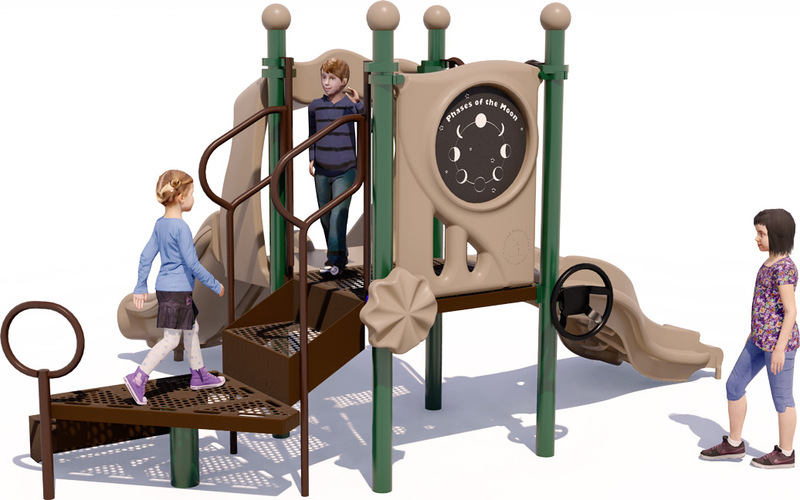 A Rain Wheel and a Playwheel for imaginative play (at ground level). The fun and educational Moon Phase Panel for outdoor learning. 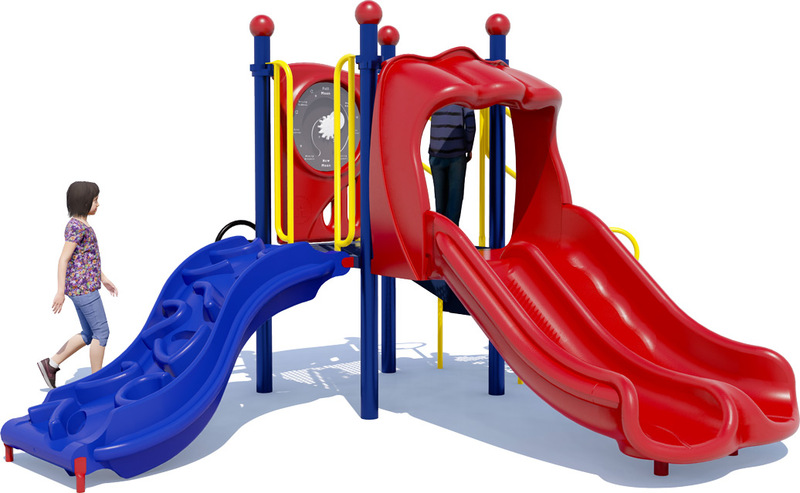 1 Double Slide, 1 Climbing Attachment, 1 Rain Wheel, And More!